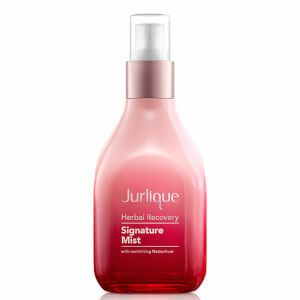 Tone and soothe your complexion with Jurlique Lavender Hydrating Mist. This daily replenishing mist is perfect for dry skin types. It works by hydrating and soothing your complexion with its replenishing mist. Your skin is refreshed and starts to feel more balanced by regular use. It also gives your complexion natural antioxidant protection. The Lavender Hydrating Mist by Jurlique contains marshmallow, which provides intense hydration and softens your complexion. Lavender oil and glycerine rebalance dryness and reverse loss of moisture. Grapefruit seed acts as a natural antioxidant. The Lavender Hydrating Mist can be used at any time to refresh and tone your face. Marshmallow Root Extract is an anti-inflammatory. Lactic Acid hydrates. Lavender calms. I use it before i sleep. Relaxing n cooling. So relaxing and leaves you with a wonderful relaxed feeling. I birng it with with for whenever you need a relaxing moment! the mist is very smooth，make my face soft. it is fine fit for the sensitive skin! I love this toner/mist. It's not too rich, very easy to absorb by skin. The natural ingredients make me feeling safety. I also like the lavender smell, which keep me clam. This face mist does what is says. Extremely moisturising and gives a nice glow to your skin. And if you like the scent of lavender, you will absolutely love this. Can't live without it!